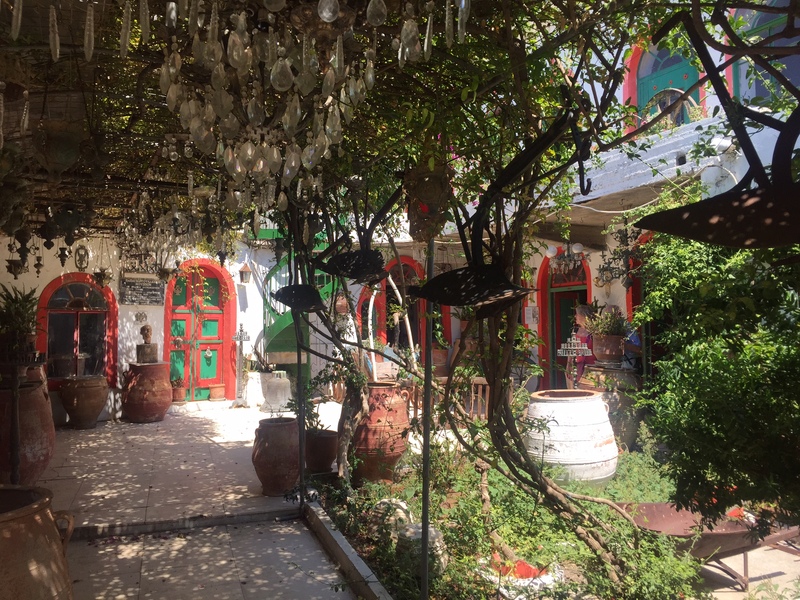 We entered from a white hot street burning under the searing Cretan sun to a tranquil, shaded garden, filled with trees and old gardening equipment. Wind chimes gently clattered among the leaves. The Museum is located in the ancient hilltop village of Asomatos, Crete. 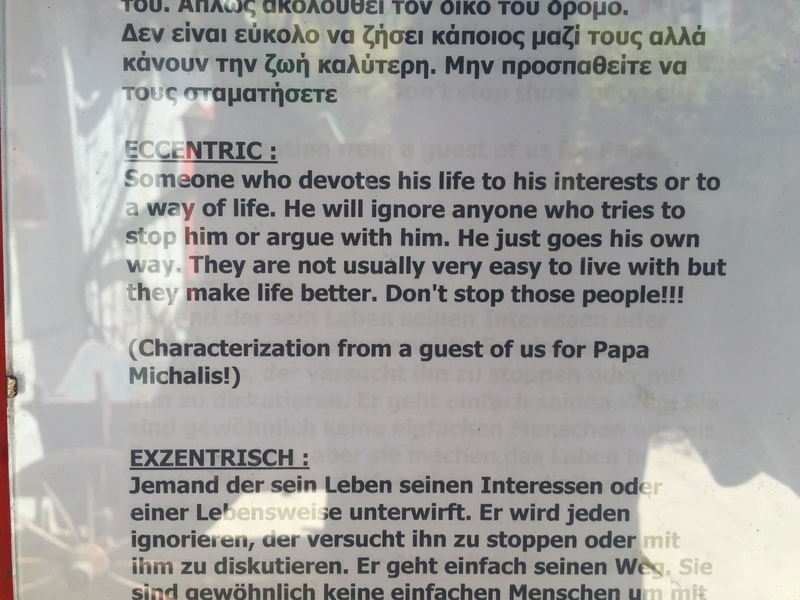 Papa Mikalis Georgoulakis was born there in 1921 and spent his whole life there. He saw that the everyday things that people discard, that were once common place soon disappear forever. The priest made it his life’s work to methodically collect and sort all kinds of objects – from lampshades to old typewriters -preserving the todays that otherwise would have slipped unnoticed forever into the past. The Museum is peaceful and very evocative; a collection of past lives and memories. Everything is carefully sorted and arranged – from matchboxes to old keys. There are not only glimpses of a past Crete, but also of a past family. There is a moving collection of all Papa Georgoulakis’s daughter’s shoes from age 2 to 18. Each pair tells their own story: scuffed toes, the imprints of a time when their owner wore them to laugh and cry and walk around the house where the museum is now. There is also a room containing the loom where his mother and sister would sit, their tapasteries hung all around. It’s a sobering reminder that families are always growing and changing – the only direction of life is forward, there is no pause button. 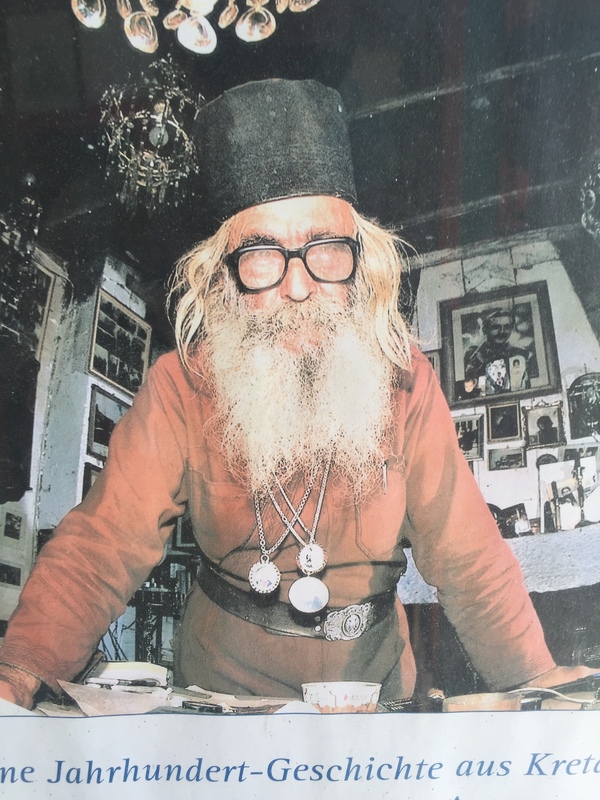 Papa Georgoulakis died in 2008. The museum is now looked after by his son and it’s still the family home. The Museum is wonderfully quirky and very special – an oasis of calm in a fast-moving, ever changing world. Looks like an interesting and lovely place to visit, i will definitely add it on my bucket list next time i visit Crete!